in observance of Good Friday. We hope you enjoy the long weekend! Schoolhouse Pictures will take individual portraits, candids and class groups. 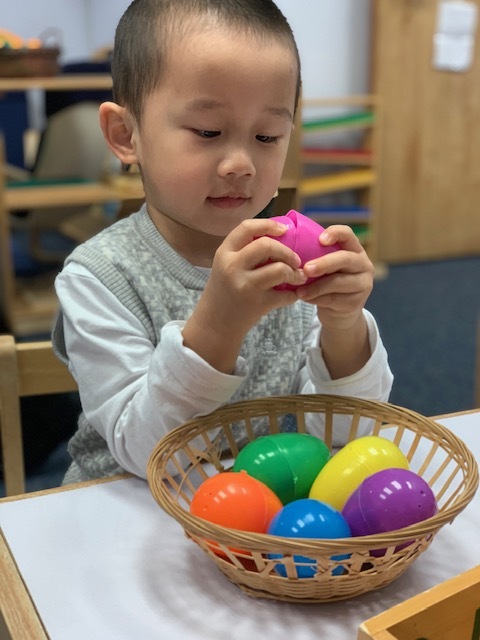 Friday, April 26 – 2:30 to 3:00 p.m.
Saturday, May 4: Montessori Math presentation, 9:00 to 11:00 a.m.
Friday, May 10 – 2:30 to 3:00 p.m. Please Save the Date for our Exciting Annual Family Event! We hope your family can join us! Give Your Child an Amazing Summer at WFM Summer Camp! Primary: Beautiful Biomes – Flora, Fauna & Fun! 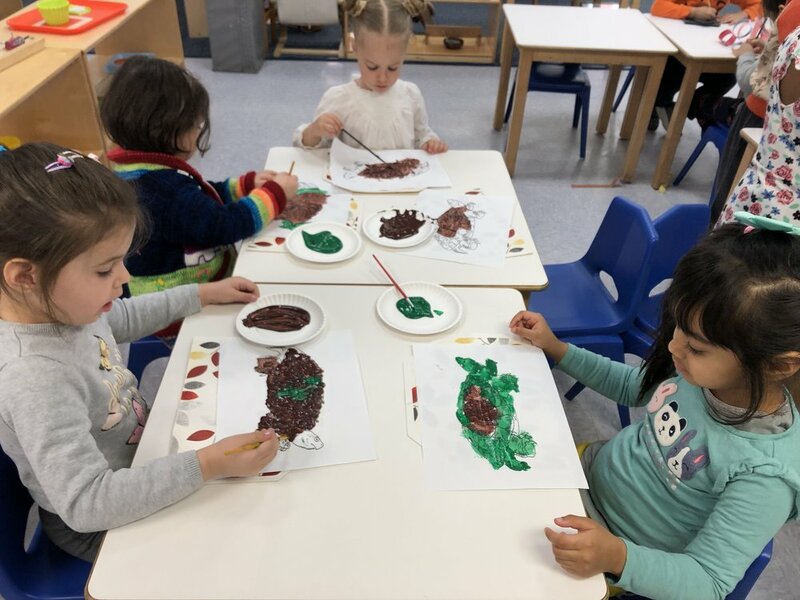 This week, the Toddler 1 class began the process of attempting to sprout their own beans. 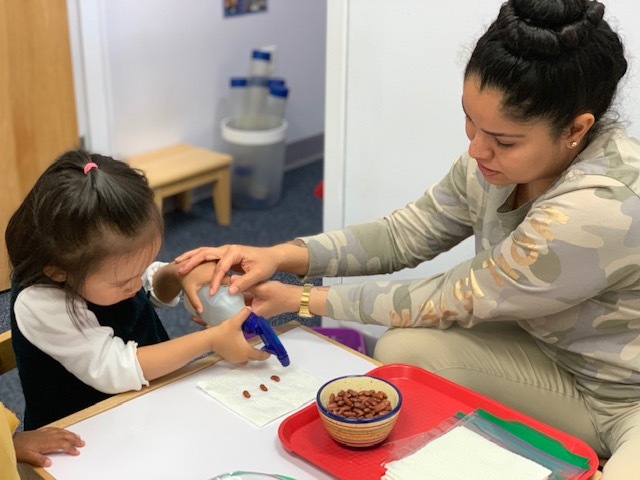 Each child selected several beans, folded them in a paper towel, moistened them by spraying a water bottle and carefully sealed them in a bag. The bags were then placed in a window to absorb plenty of sunlight where we will continue to observe them each day! 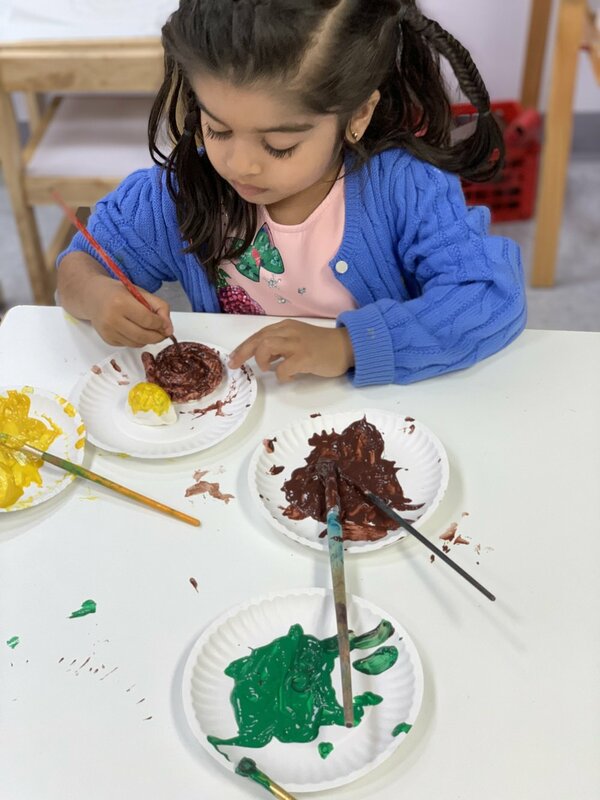 The Toddler 1 students recently experimented with "symetrical painting". 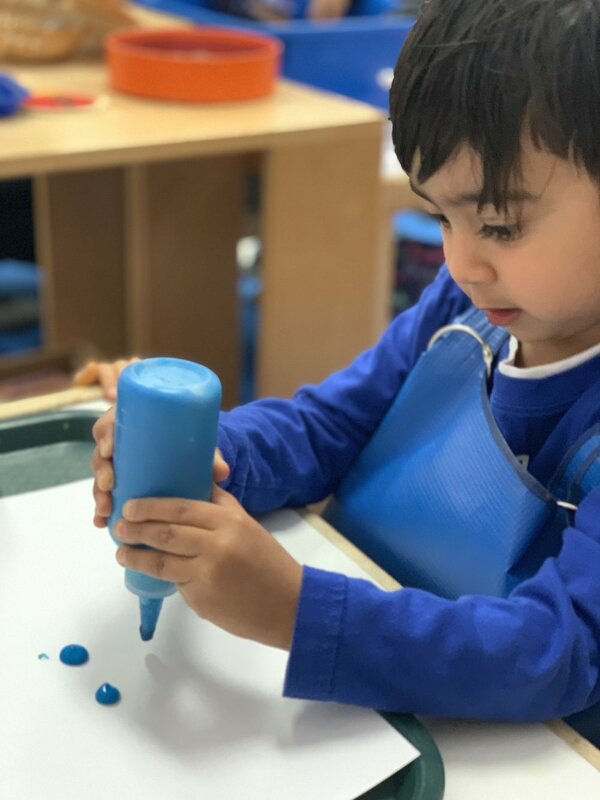 To do this, each child carefully squeezed drops of paint onto a paper before folding it in half. After attening it down and spreading their hands around the top of the paper, they opened it to reveal a new design. They marveled at how the paint looked the same on both sides of the paper and talked about what they thought each image looked like. 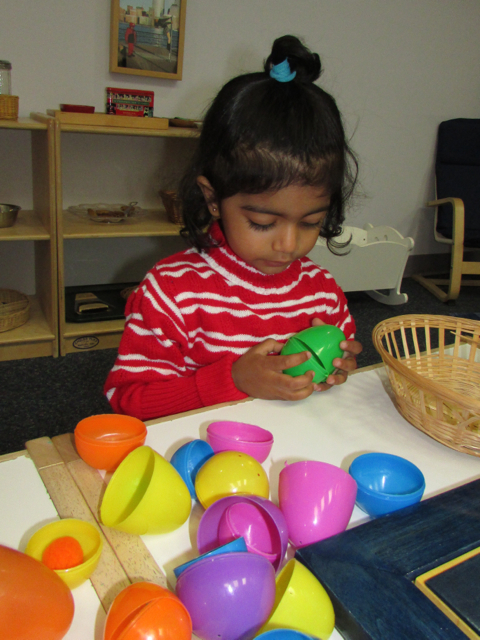 The Toddler students have been eager to tackle the challenge of opening and closing a collection of nesting Easter eggs this week. 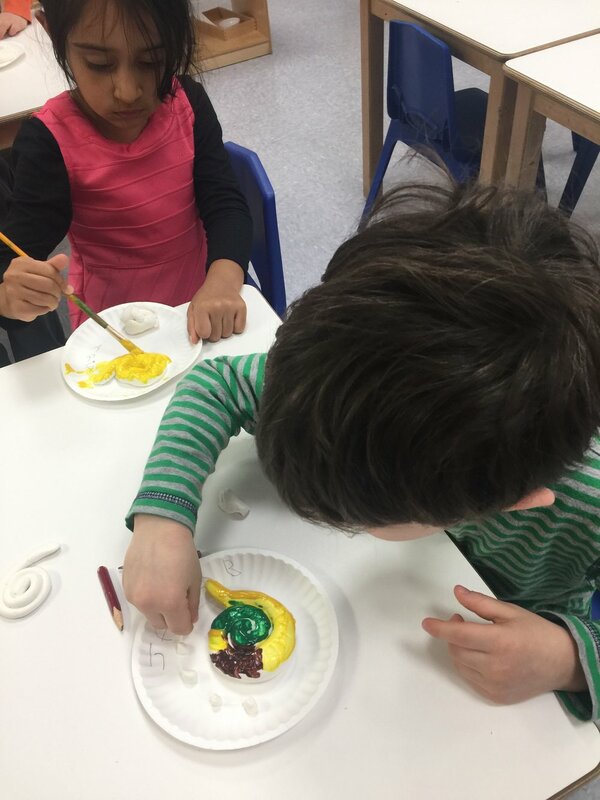 This activity requires excellent fine motor skills, as well as patience, persistence, concentration and hand-eye coordination. It also encourages the additional skill of color sorting, as they match each colorful pompom to its corresponding small and large egg. The T2 class is celebrating spring by exploring how seeds grow into plants. This week, we discussed how every plant needs water, sunlight, and soil to grow. We started by setting up dry kidney beans in tiny "greenhouses" of damp paper towels inside of plastic bags, taped to the outside door to get plenty of sun. Over the next few days, we will watch our seeds carefully to see how they begin to sprout! Primary 1 students continued learning about Africa’s culture. 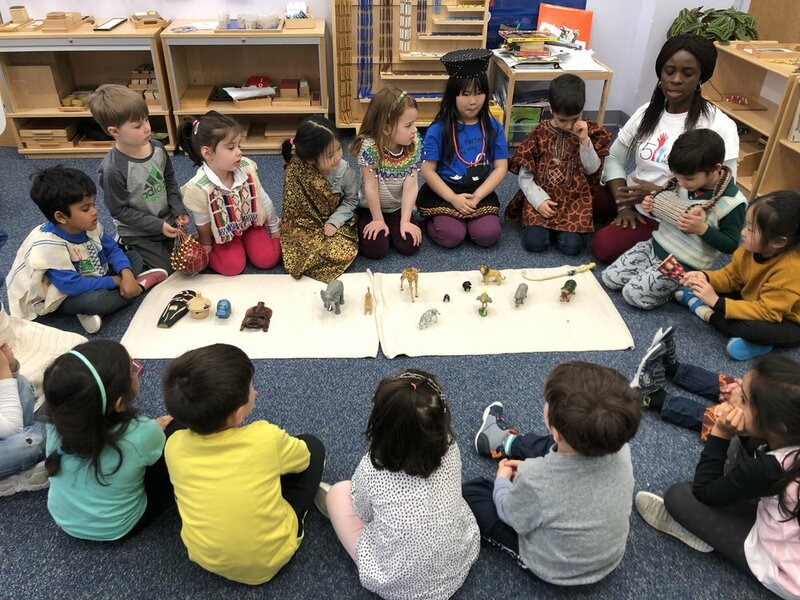 Ms. Yemi, from Primary 2, visited the class to share information about music, instruments and the representative outfits of different African regions. The students were excited to wear some of the traditional clothing, play instruments and dance. Reptiles are favorite animals of the Primary 1 students. 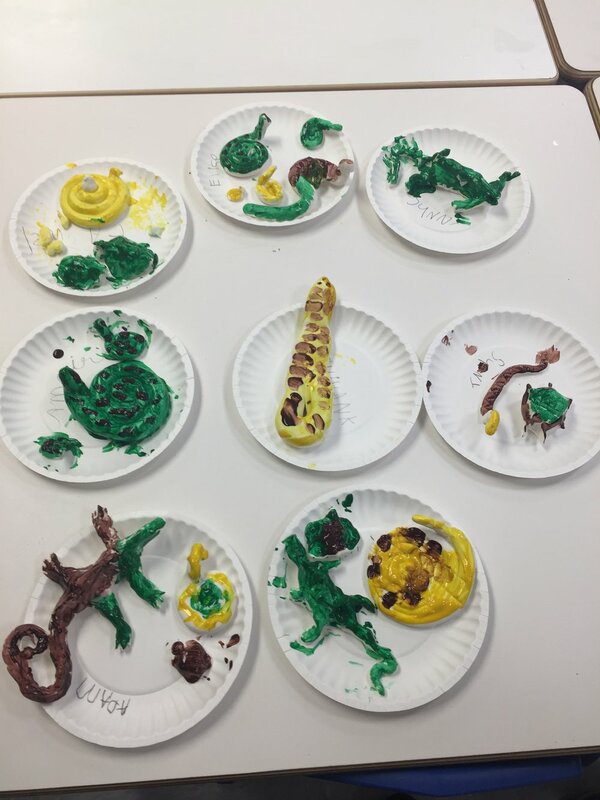 The older friends got creative making their own versions of snakes, iguanas and turtles. They also learned about how reptiles are different from other group of animals. 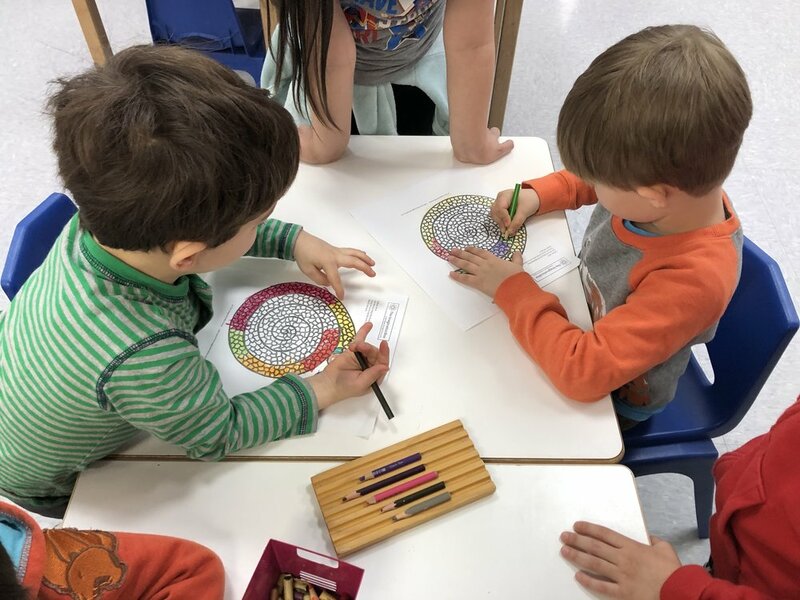 The Primary 2 students were excited to learn about the artist Picasso and his unique style. They even created their own portraits in Picasso’s style. 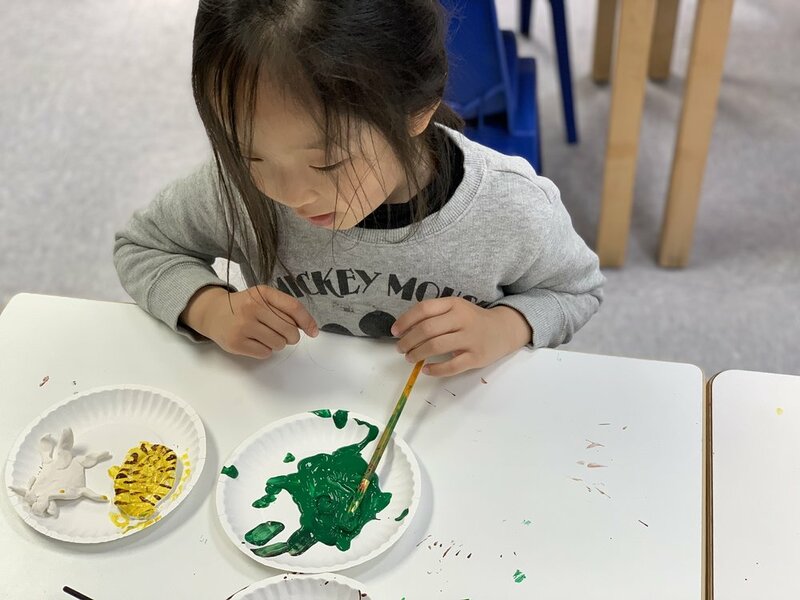 The Primary 2 students used a variety of language materials, from learning sounds and phonograms to creating short stories. The Primary 2 class parents shared a lovely Easter presentation with an Easter craft, bunnies and Easter eggs. A first year Primary 2 student celebrated his fourth birthday with his classmates and his family. He shared wonderful pictures of his younger days. A primary three student was excited to share some of their favorite things and stories with their friends during this weeks ‘Me Museum’. 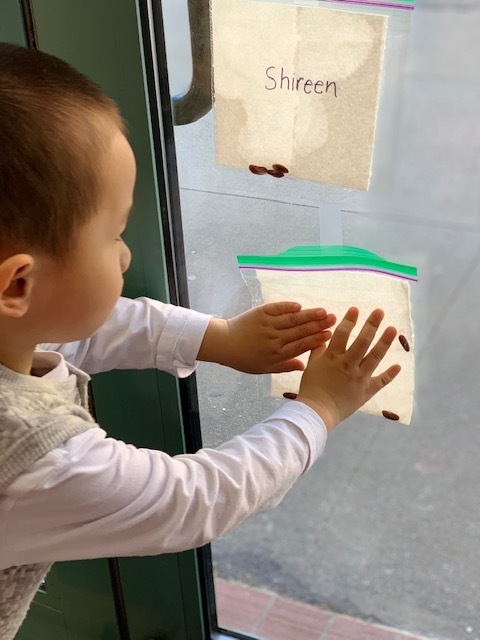 As part of their Empowering Writers workshop, the Kindergarteners spent time thinking about how characters in a story use their five senses: They recognized what the characters saw, heard, felt, smelled and touched. 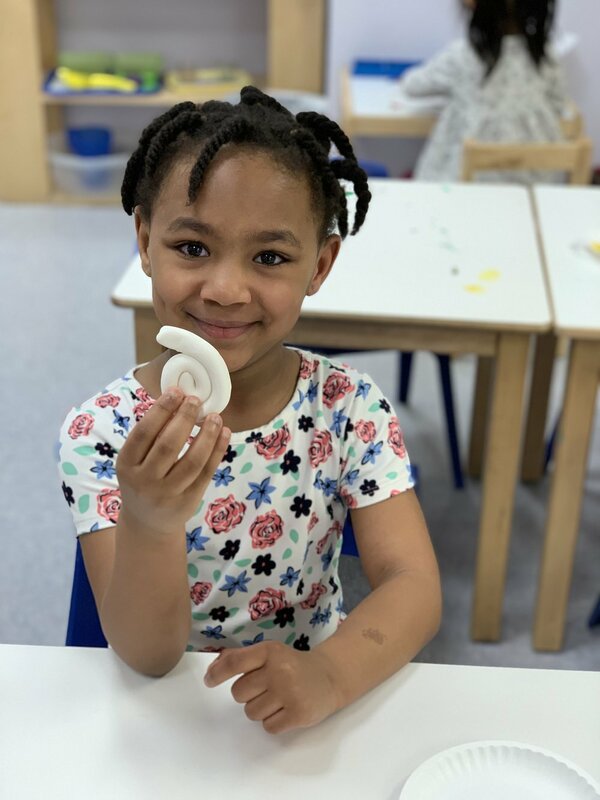 In STEM class, the kindergarten students had fun designing and building bird feeders. 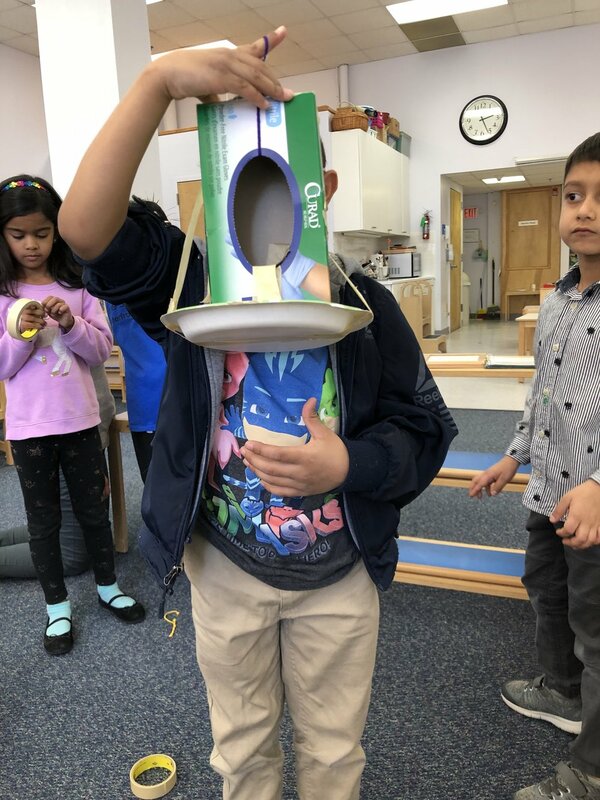 All the designs had to incorporate a perch for the birds, a container to hold the bird seed, holes for the bird to access the seed and had to be mounted on a stand or able to be hung. Some younger friends in Lower Elementary East enjoyed a fraction introduction lesson that started with brainstorming about how to share an apple equally. The Lower Elementary East students continued their silhouette art pieces by completing the next part of the process! 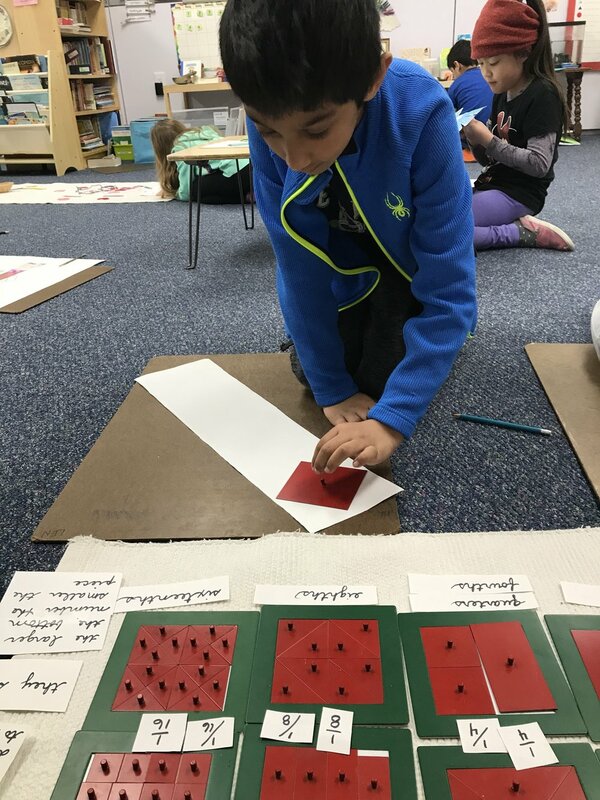 The second year Lower Elementary North students created fraction pictures. They will use these to start fraction addition by adding up all the pieces in the drawings. Two third year students worked on the pin map of Asia. 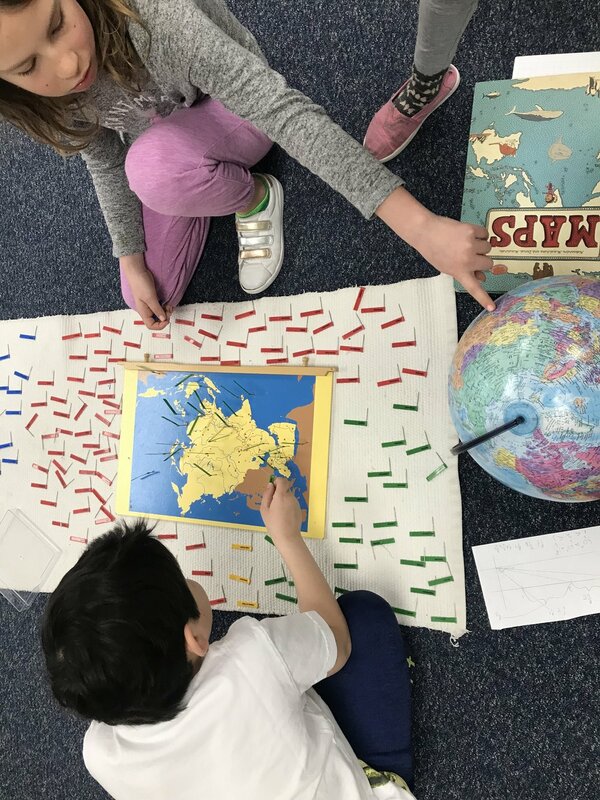 They used the globe and atlas to help them label the countries, cities and land and water forms located in Asia.